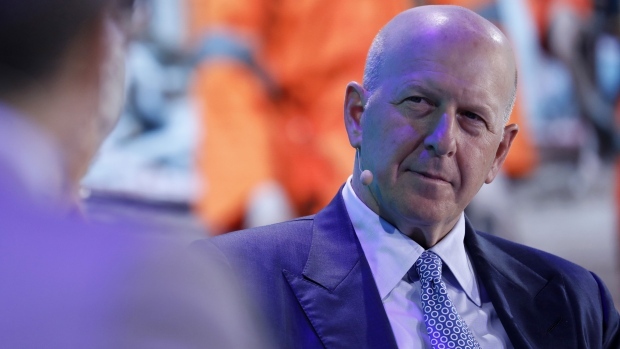 Goldman Sachs Group Inc.’s David Solomon received US$23 million in compensation for 2018 after taking over as chief executive officer in October, the firm said Friday in a regulatory filing. The transfer of power to Solomon from his predecessor Lloyd Blankfein has been clouded by the 1MDB scandal, centering on the firm’s work for a Malaysian investment fund that prosecutors say was raided in a historic plunder. The firm said equity awards can be clawed back if the results of the 1MDB investigation “would have impacted” the board’s pay decisions for any senior executives. Malaysia has filed criminal charges against Goldman, and Singapore is conducting a criminal probe that includes the Wall Street firm. Goldman officials have said for years that the bank raised money for 1MDB without knowing that it would be diverted from the development projects, and that it is cooperating with authorities. Solomon, 57, took over in the fourth quarter after serving as chief operating officer and head of the New York-based firm’s investment bank. Solomon, who was named chairman in December, received US$1.89 million in salary and US$21.1 million in variable compensation for last year. He was paid a total of US$21 million for his work in 2017. While Goldman Sachs reported profit that more than doubled last year, its stock fell 34 per cent, the most since 2011. Blankfein, 64, who stepped down as CEO in October, received US$20.5 million for 2018. He got US$24 million in compensation in 2017, his last full year on the job. In his current role as senior chairman, he’ll get a company car and security driver through this year, but no monetary compensation, Goldman said in December. JPMorgan Chase & Co. CEO Jamie Dimon got US$31 million for last year, a 5.1 per cent bump, after the firm notched the highest profit in U.S. banking history. James Gorman of Morgan Stanley received US$29 million, a 7.4 per cent increase from the prior year and his biggest pay package since taking the helm of the New York-based bank.